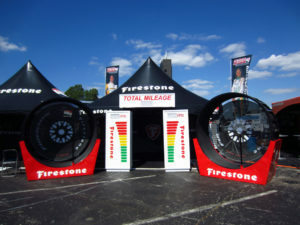 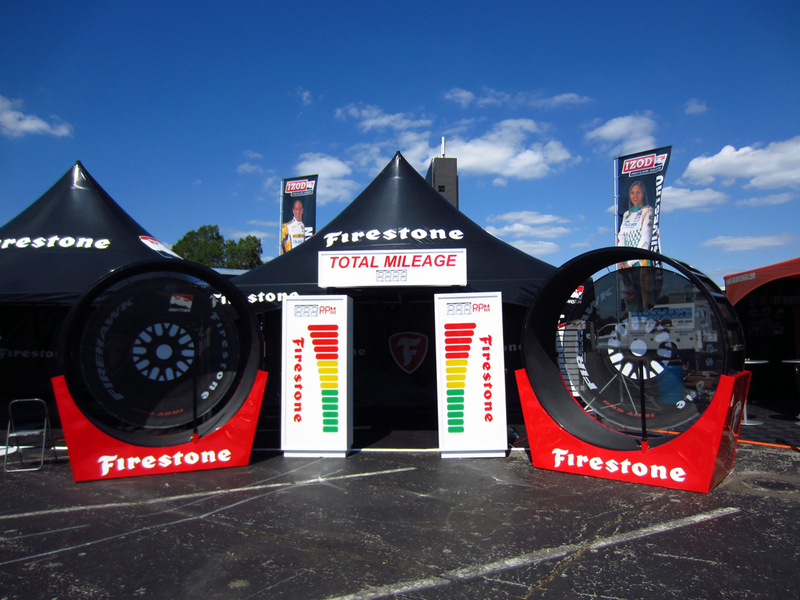 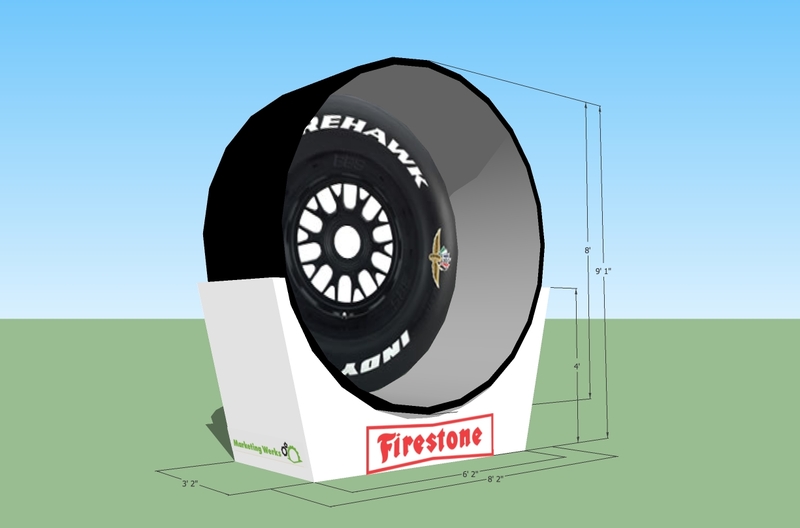 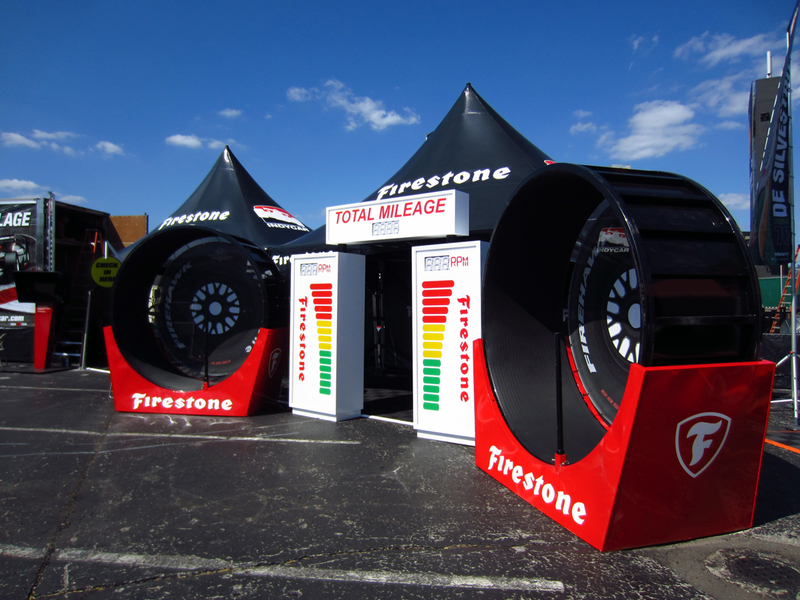 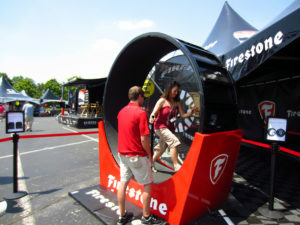 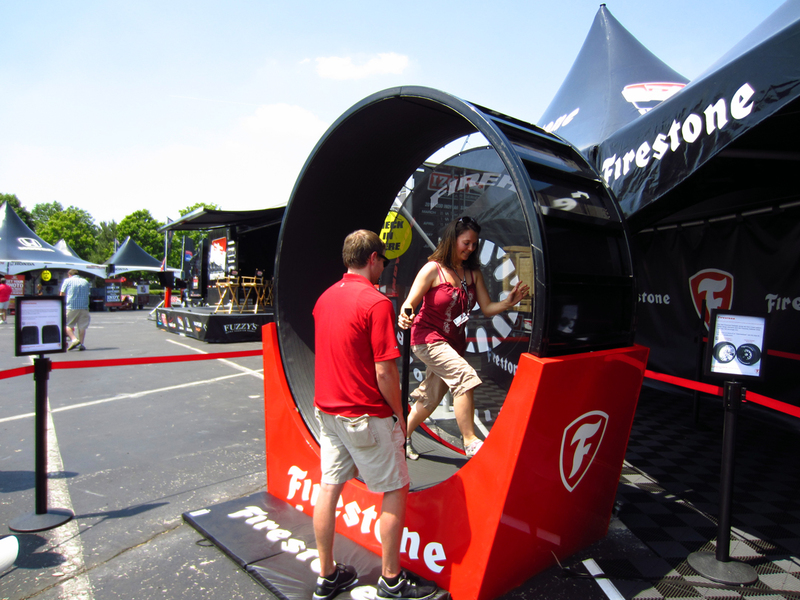 Twin kinetic human running wheels custom designed and fabricated for Firestone Tires and the 2012 Indianapolis 500. The center monument entrance records the RPM of each wheel as well as the combined total mileage. Digital components designed by Almost Scientific.